during a recent visit to Shaikh Zayed University. Now that we on the 3-19th ADT are through with preparing our friends here in the Khowst Province of Afghanistan for the next decade, it’s time we shift our focus a bit to the long term vision. Of course I wouldn’t say that all the major issues of the next decade have been addressed, but it is safe to say that we as a team are shifting our strategy to more of an education-based approach. As we've been providing villagers with traditional products such as chickens and trees, the time has now come to promote other opportunities in agriculture in an effort to transition from simple subsistence farming. Those who have studied vocations or human psychology can attest that individuals have a natural tendency to gravitate towards their strengths. Apparently this theory proves relevant for members of the 3-19th ADT as well. With two high school administrators and several other school teachers spread out amongst the team, it should come as no surprise that our instinctive areas of focus would center around education. This past summer, while touring the farm of former Deputy Secretary of Agriculture Jim Moseley, a vision came into the mind of one of our team members. 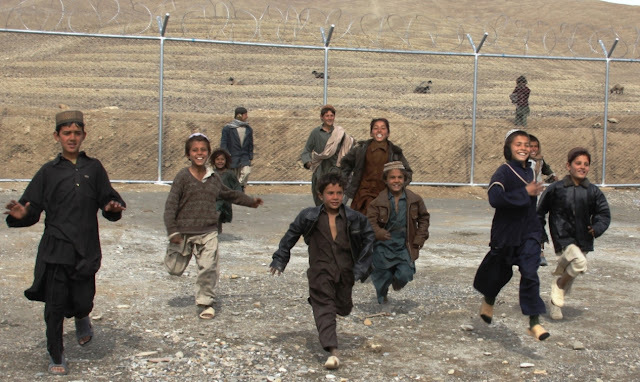 During Moseley’s time at USDA, and later as Don Rumsfeld’s point man on Afghan agriculture, he noticed a serious void in the lack of youth development programs currently available to the children of Afghanistan. 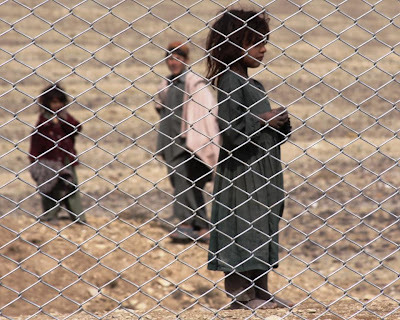 Throughout his years in Washington, Moseley made a remarkable 13 trips to Afghanistan, each time noticing this total lack of any type of development programs for the leaders of tomorrow- a critical component of any campaign to break a corruption cycle. seminar Future Farmers of Afghanistan is underway. Within days of our visit to the Moseley Farm, Major Jeremy Gulley (3-19th ADT Education Officer) had already put his thoughts on paper. His vision, Future Farmers of Afghanistan, would require much coordination and buy-in from our partners within the Khowst Provinicial Government. But after all, doesn't anything worthwhile require a bit of blood, sweat, and tears? Fortunately for Gulley, our predecessors here the 2-19th ADT, had a great working relationship already in place with Shaikh Zayed University by the time we set foot on ground. The main issue at hand would now be coordination among the Director of Education and the Director of Agriculture, both "line director" positions within the Khowst Provincial Government. After several meetings with each of these individuals, with both parties showing extreme enthusiasm, Future Farmers of Afghanistan was slowly becoming more of a reality. By the time the coordination and "concurrence" phases were complete, signatures from over a dozen officials were required to start the process moving forward. During this same period, FFA advisors from high schools across the state of Indiana began sending agricultural lesson plans over to Afghanistan for review by the 3-19th ADT education team. After review and some slight tweaks, including the obvious necessity of translation, these plans were compiled and handed over to the Dean of Agriculture at Shaikh Zayed University. Shaikh Zayed University was a natural center for this project, just as a college campus functions back in the States, SZU radiates an atmosphere that encourages critical thinking. 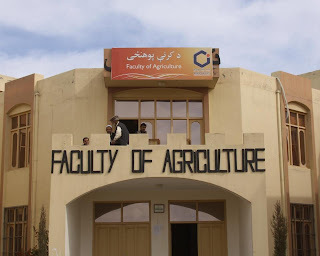 A demonstration farm existed on the campus of SZU, but was in need of some minor repairs before any official training could be held within the confines. This would be Phase I of the project, the touch-up repairs around the farm of SZU. Phase II is really the foundation of the entire project, during this phase (which just finished on Monday) 120 teachers from six different high schools come to the University for a two-day intensive training seminar. In addition to the high school educators, Agricultural Extension Agents from each of the province's 13 districts attend the training as well. During their time on campus, these teachers and extension agents were instructed on a variety of different agricultural topics ranging from composting to solar dehydration. While the teachers and agents were away at the university, the third phase was taking place at six pilot high schools throughout the districts. Six agricultural kits consisting of a full-size greenhouse, composting pit, solar dehydrator, and other classroom materials have been delivered to these schools. All the materials (locally contracted) have been placed at the schools and the projects are currently under construction. lesson for the villagers of his district. Distribution of the materials is a good start, but worthless without some type of check on learning associated with the products. Coalition Forces have been donating goods to the local populace here for the better part of the last decade, with little follow-up after the fact. 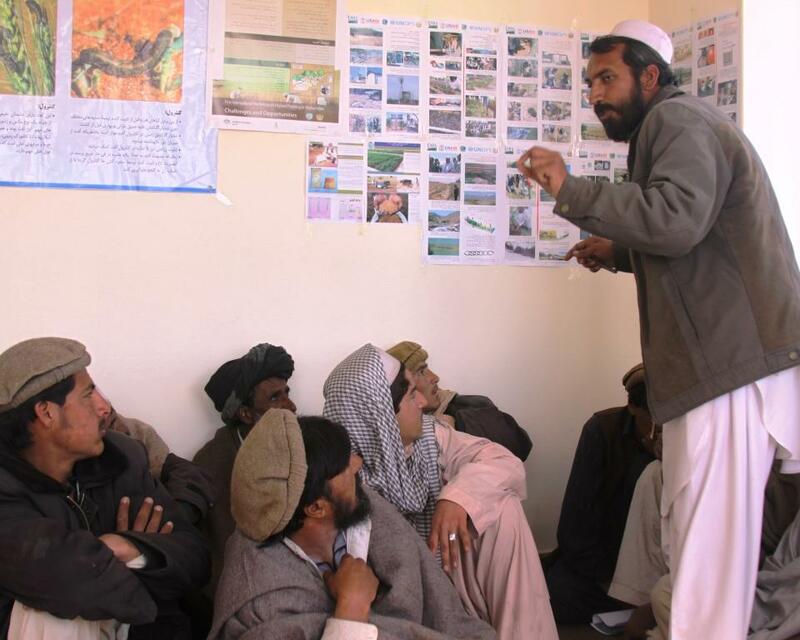 Phase IV of the Future Farmers of Afghanistan project calls on Shaikh Zayed instructors for a mentorship role within the local high schools. For four hours per week, SZU professors will work with the recently instructed high school educators as they deliver training to their students. The end-state of this pilot program will ideally give students a chance to act on the entrepreneurial spirit we hope these agribusiness lessons will inspire. Think of a humid August day, nothing says summer vacation like a lemon shake-up at the local county 4-H fair. With an end of program agricultural showcase, students will have an opportunity to market their fresh fruits and vegetables in an effort to fund future programs. Consistent with the Afghanistan National Development Strategy (ANDS), ISAF and its international partners address the drivers of instability in key population areas by supporting Afghan efforts to provide equitable access to basic services. 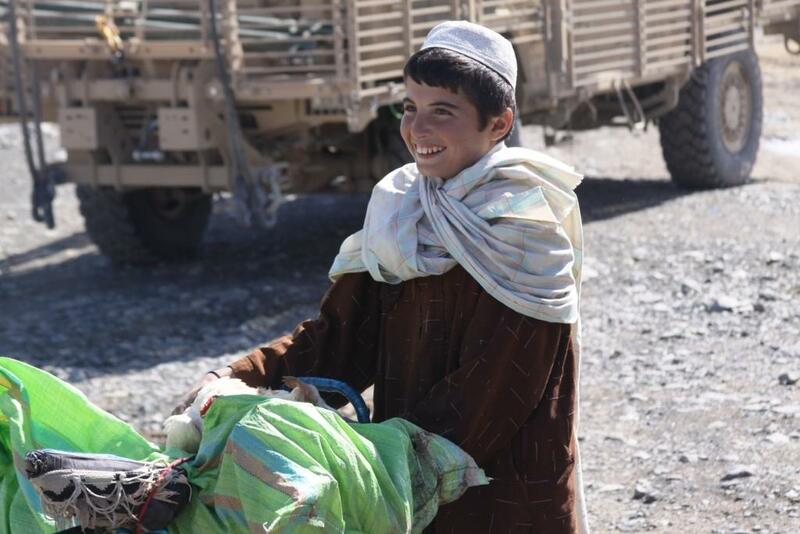 ISAF uses available funds such as the Commander's Emergency Response Program (CERP) to support civilian socio-economic programs that help develop stable, legitimate, and accountable governance and stimulate Afghan private sector development. Future Farmers of Afghanistan is a textbook example of how funds can be distributed in a responsible fashion, to a worthy cause. While spending on the wars in Iraq and Afghanistan continue to attract the attention of so many across the nation, programs like this hands-on, project based training seminar will continue to rise to the top of funding priorities throughout the Afghan theater. will soon be installed in their schools. As deadlines for troop withdrawals loom in the forefront of many minds, non-combat operations such as ADT's will continue to provide a unique capability to commanders across the country. While a push for more civilians and less "boots on the ground" is a popular debate, a delicate balance of the two will prove to be of critical importance for future military campaigns in the Afghan theater. A young farmer from the Tani District departs the district center after receiving a forestry block of instruction. That sounds like such a neat program ... and how cool that FFA students back in the States got to be involved in such a major area of development for these people!